Pre-Heat the oven to 325F. Butter a 12 cup standard muffin tray. Combine oats, flour, baking powder, salt, flax seeds and walnuts in a large mixing bowl (many of these ingredients are available in our bulk bins here a the store). In a medium saucepan over low heat, combine the coconuty oil, butter, syrup, and sugar then slow-melt together. Stir just until the butter melts and the sugar dissolves, don’t let the mixture get so hot that it cooks the eggs on contact in the next step. 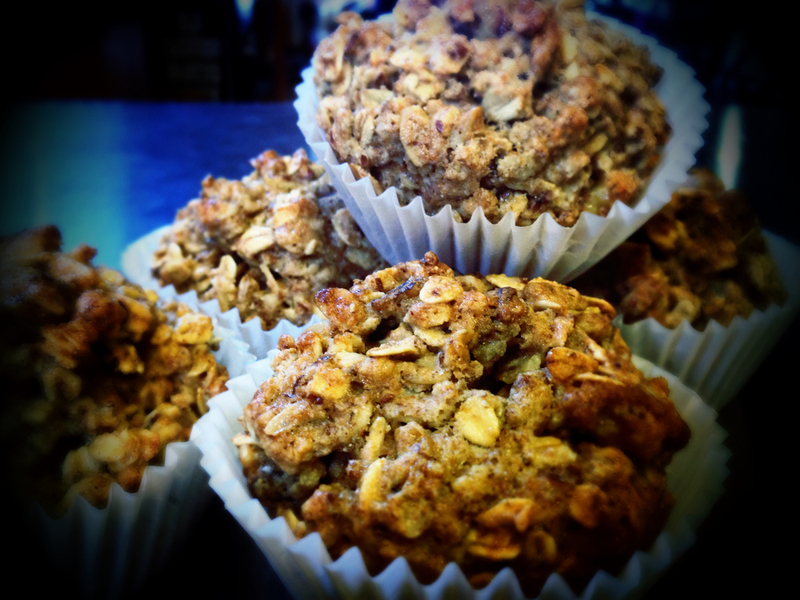 Pour the coconut mixture over the oat mixture stir a bit with a fork, add eggs and stir again Spoon into muffin cups until they are nearly full. Bake for 25 to 30 minutes until the edges are golden, remove the pan from oven and let it cool a few minutes then remove muffins to a rack to cool.